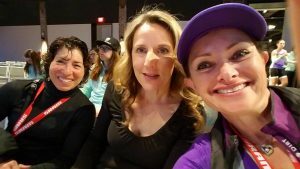 I was thrilled and honored that CORBA sent me to the very first IMBA Uprising women’s summit in Bentonville, AR. It was held at The Record from March 22nd-March 25th and was the brain child of Aimee Ross. 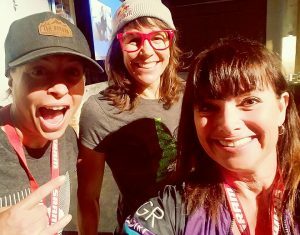 “IMBA’s UPRISING is a two-and-a-half day, hands-on, collaborative summit among female mountain bike leaders from all across the U.S.
And true to it’s definition it was. WHAT an inspiring 3 days of amazing community leaders and aspiring leaders across the US. 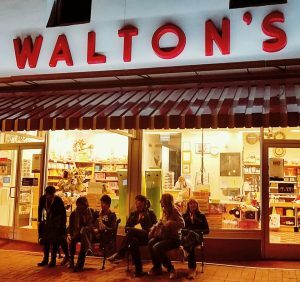 I arrived Thursday night, never being to Bentonville, AR. Such a tiny airport, my favorite. I knew the town was bike friendly when one of the enormous signs inside the airport was of a mountain biker riding the trails. I ran into Jill Hamilton of Petal Power and Kamala Slight our GGR SD Chapter Director also just arriving heading to baggage claim. Outside the airport, Liz Kurtz and Tamara Napier, 2 of my leadership team members were waiting to pick me up. 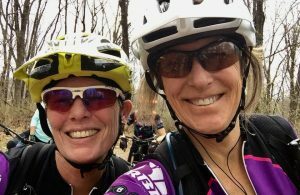 Tam and Liz were in the middle of a huge road trip covering many states and getting in some pretty rad biking. 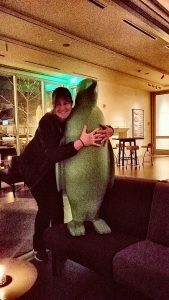 After settling in our house and doing a little shopping, we headed over to the Record, a beautiful venue in downtown Bentonville where the summit was being held. 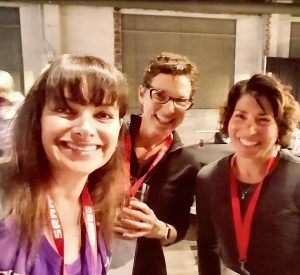 We signed in, went to the open bar for some vino and started mingling. The rest of the leadership team that was able to attend was already there. Doris Dunn and Susie Murphy. There were 7 of us from the GGR leadership team attending. 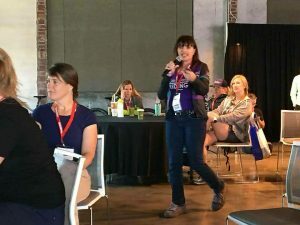 I was so very excited to talk to women from all over the US about everything from trail building, advocacy, leading rides, how to get more women biking and much more. This was the 1st full day of the summit. 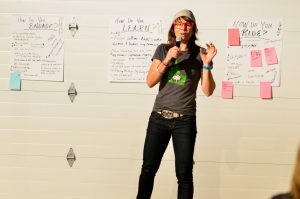 Aimee Ross started the day off welcoming everyone and sharing her story of her brain child….IMBA Uprising. Then we were lucky enough to have The Queen of Pain herself speak Rebecca Rusch. Rebecca was an enormous part of the Uprising summit. 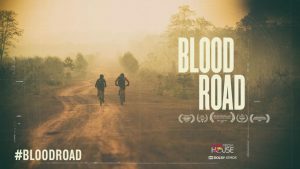 She spoke, showed her movie Blood Road, road with us and answered any questions you may have had about anything! There were many great talks throughout the day. 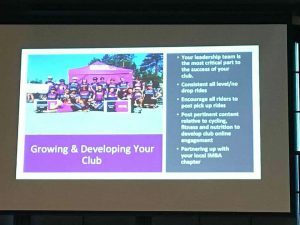 GGR even got to speak to a room full of curious women on how to engage their community and their club. With the help of Jill Hamilton, we spoke about engagement and starting your own club in their respective communities. 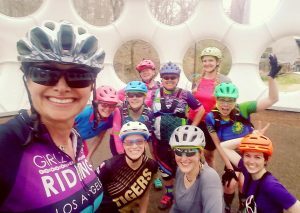 We were super stoked to be approached by women in Missouri, Wisconsin, Tennessee and Northern California that wanted to learn more about starting their own GGR chapter or their own club. Friday late afternoon it was time to ride and check out the amazing local trails in Bentonville. 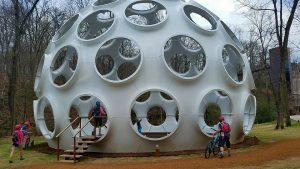 Bentonville is FULL of cyclists and all about mountain biking! They LOVE cyclists there and are constantly building new trails. The trails were super flowey and well groomed. We had a blast! 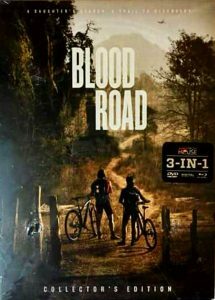 Finally, Friday evening, all of us were lucky to view Blood Road. This is Rebecca Rusch’s moving about her expedition to locate where her fathers plane went down in the war. She then stayed for Q&A after. 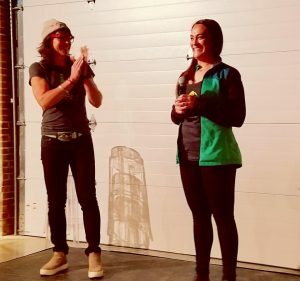 She and her riding partner rode 1200 miles on this adventure! Saturday was my favorite day. 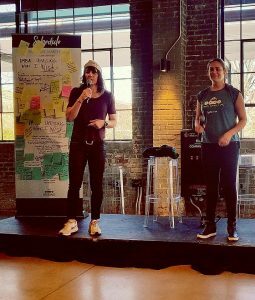 We had panels, interactive talks and of course got to shred some RAD flow lines in Bentonville! 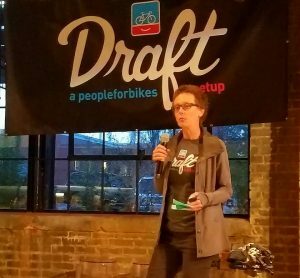 People for Bikes put on a Draft event after the rides. 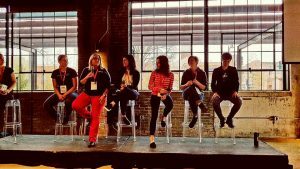 One of the events was each woman on a panel had 3 minutes to speak, then was able to take questions. These were all industry leaders that spoke about different topics. IMBA then provided dinner! A buffet with open bar. We then said our good bye’s and walked over to the Church for drinks and chit chat. Yes Church! There is a super cool Church in town with stained glass windows that have bikes in the designs. They turned the bottom floor into a bar! So many of us checked it out and enjoyed martini’s and vino. Sunday I decided to sleep in and do some job hunting. Tam and Liz went riding with some of the group and Susie, Jill and Kamala went to the museum. I reflected on all the empowerment I felt over the last few days and was disappointed to get on a plane and come home. 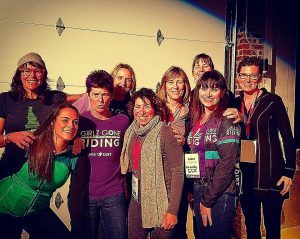 This women’s summit gave me empowerment, friendship, riding and hope for our future. I’ve been mountain biking for 13 years now. After every single ride, even after 13 years, riding still makes me feel like I can conquer anything. 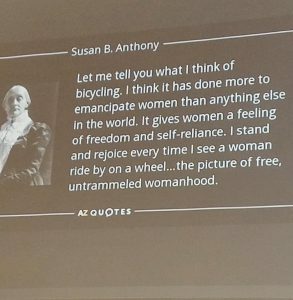 This is why I ride and this is why I want more women to ride. 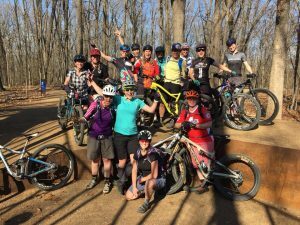 Until the next IMBA Uprising women’s summit, let’s build more trails, attend more trail work, engage our communities and educate those on trail etiquette and what is going on with our cycling communities. 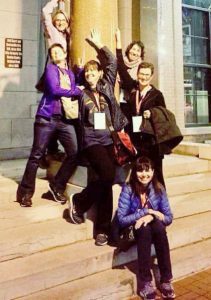 I thank IMBA, Aimee Ross and CORBA for this wonderful adventure and opportunity. “Although the NMBP was officially ‘started’ in 1994, volunteer mountain bike patrol’s roots run deep, back to the early days of mountain biking, when trails were rife with user conflict, and blanket mountain bike bans threatened great riding locations from coast to coast. The Concerned Off-Road Bicyclists Association (CORBA) was arguably the first organization to begin volunteer patrol activities with their Mountain Bike Unit (MBU), formed in 1988. Read the entire article, 15 Years of Service: A Look Back at IMBA’s National Mountain Bike Patrol. Santa Barbara, March 7, 2009 – The International Mountain Bicycling Association’s (IMBA) Subaru/IMBA Trail Care Crew will be in SANTA BARBARA, March 26th through March 29th to talk trails, teach people sustainable trail building technique, and spend quality time on trail with volunteers. The visit is one of 70 stops on the 2009 schedule. Everyone is invited to attend the weekend’s events – but registration is required for the Trail Building workshop. The award-winning Subaru/IMBA Trail Care Crew program includes two full-time, professional teams of trail experts who travel North America year-round, leading IMBA Trail building Schools, meeting with government officials and land managers, and working with IMBA-affiliated groups to improve mountain biking opportunities. IMBA’s Crews have led more than 1,000 trail projects since the program debuted in 1997. The Crews teach “sustainable” trail building, which means building trails that last a long time and require minimal maintenance. This helps reduce trail damage, protects the environment, and enhances visitor enjoyment. Now in its eighth year, the Subaru/IMBA Trail Care Crew program is more popular than ever. The Subaru/IMBA Trail Care Crew program has inspired great volunteer trail work across the U.S. and abroad – a big help to government agencies and land managers who have limited funding for trail construction and upkeep. Coming to SANTA BARBARA are Subaru/IMBA Trail Care Crew members Inga Beck and Jason Van Horn. Beck hails from the San Francisco area while Van Horn is from Oregon. 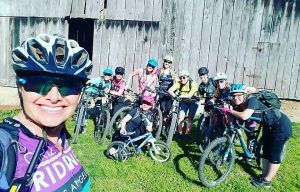 They bring a unique combination of professional experience to the program – from coaching mountain bike skills, working with a multitude of environmental organizations, to swing dancing and yoga – on top of being trained as some of the country’s top trail builders. They’re also committed volunteers who have logged hundreds of hours building trails and performing outreach work with a host of public agencies. March 26th, Presentation “Club Care – Reinvigorating Your Club”: 6:30pm – 8:30pm, Faulkner Gallery – Santa Barbara Central Library, 40 East Anapamu Street. Open to the public. 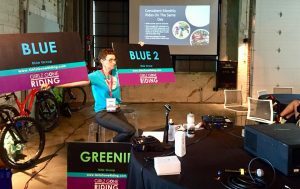 This presentation focuses on techniques that advocacy groups across the country have used to reach goals, overcome, challenges, and build up their community. Any trails, outdoor, environmental, or sports based organization will benefit from this workshop. 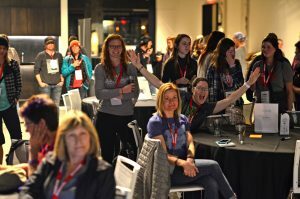 Included will be ideas on sustaining boards of directors, recruiting members, and making sure that everyone has a great time participating in their organization. No cost. March 28th, IMBA Trail Building School and trail work. 8:30am – 5:00pm, Louise Lowery Davis Center 1232 De La Vina St Santa Barbara, CA: Pre-registration is required. 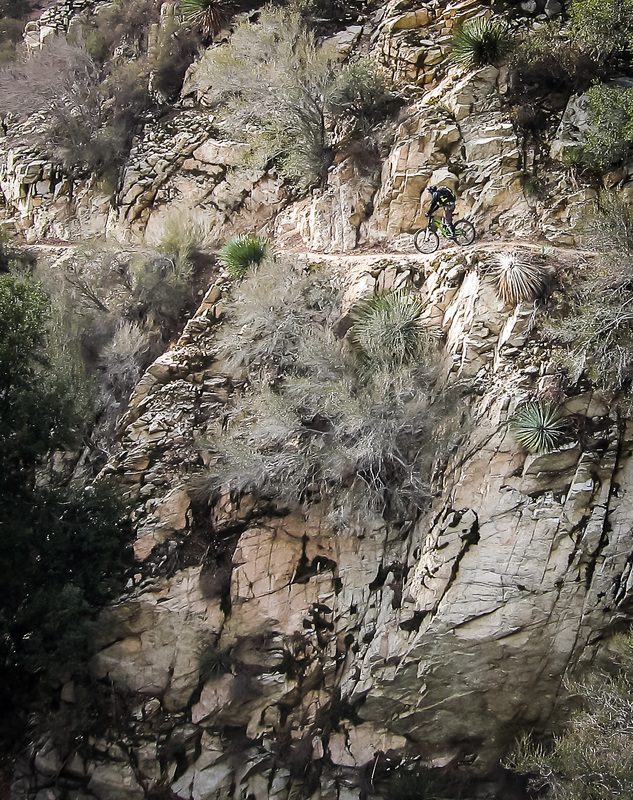 Registration: http://go.imba.com/santabarbara or register by email to chris.orr@sbmtv.org or ray@sbtrails.org. This workshop instructs hikers, cyclists, and equestrians sustainable trail building/maintenance philosophies and trains volunteers and land managers to use these skills on their trails and in their community. The workshop will include a half day (8:30am -12:30pm) in class instruction and a half day on a trail applying and refining skills. Location of the trail will be announced in the workshop. Carpooling is strongly encouraged. No cost. For a complete list of visit dates, photos and additional information on the Subaru/IMBA Trail Care Crew visit www.imba.com. The previous visit of the Subaru/IMBA Trail Care Crew to the region was to Ventura County in 2005. You can view the photo galleries of trailwork and the following recreational ride. Subaru of America, Inc. is a wholly-owned subsidiary of Fuji Heavy Industries Ltd. of Japan. Headquartered near Philadelphia, the company markets and distributes all-wheel drive Subaru vehicles, parts and accessories through a network of nearly 600 dealers across the United States. Subaru of America, Inc., is the only car company that offers symmetrical all-wheel drive as standard equipment on every vehicle in its product line. Subaru has been the best-selling import wagon in America for the past 20 years, based on R.L. Polk & Company new vehicle retail registration statistics calendar year-end 2002. 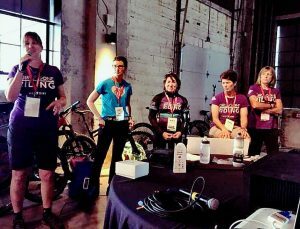 The International Mountain Bicycling Association creates, enhances and preserves trail opportunities for mountain bikers worldwide. 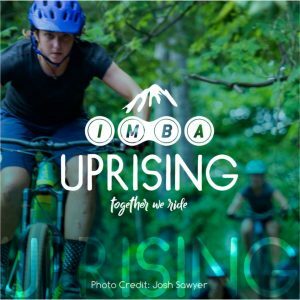 Since 1988, IMBA has been bringing out the best in mountain biking by encouraging low-impact riding, volunteer trail work participation, cooperation among different trail user groups, and innovative trail management solutions. 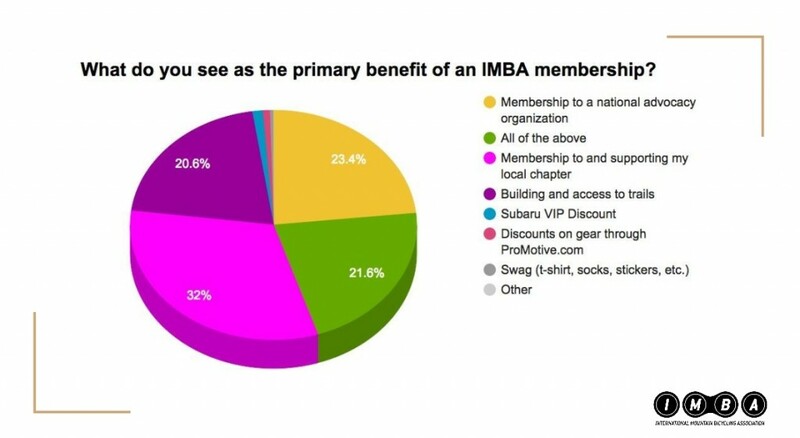 IMBA’s worldwide network includes 32,000 individual members, more than 500 bicycle clubs, and 400 corporate partners and dealer members. For more information visit www.imba.com. Santa Barbara Mountain Bike Trail Volunteers is a group of advocates dedicated to building a trail community and sustainable trail system through continued volunteer work. The Santa Barbara Mountain Bike Trail Volunteers formed over 20 years ago in response to threatened trail closures. Since then the Trail Volunteers have worked hard to promote responsible mountain bike trail use and volunteer trail maintenance activities. We are currently focusing our energy on rider education and the development of closer ties between members of the trail community. Since 1969, the Santa Barbara County Trails Council has dedicated itself to working with local government agencies and other organizations on the development of a safe and sustainable trail network, acquisition of new trails and support for volunteer trail maintenance programs. 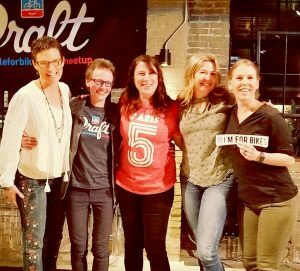 SBTC plays a key role in bridging the differences among trail user groups as we work towards building a network of trails that serve the entire community. 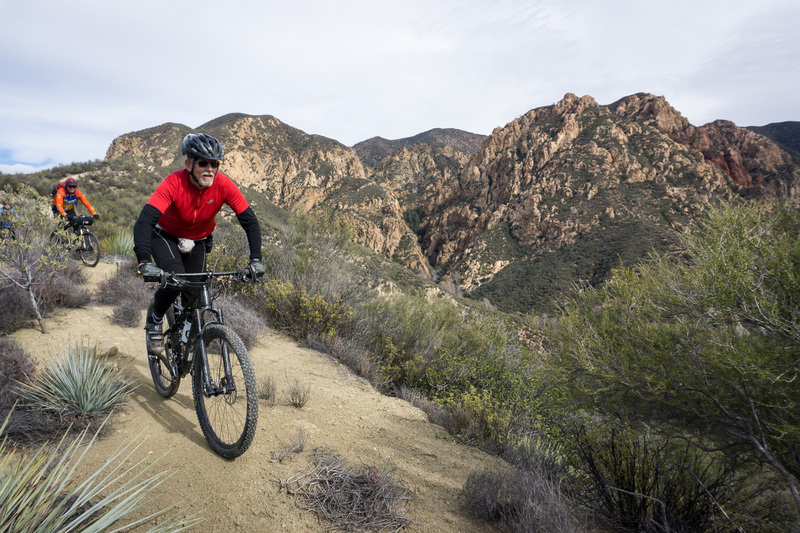 The most extensive formal appeal in IMBA’s 19-year history has culminated in an agreement that will maintain widespread bicycle access in four National Forest units in Southern California. 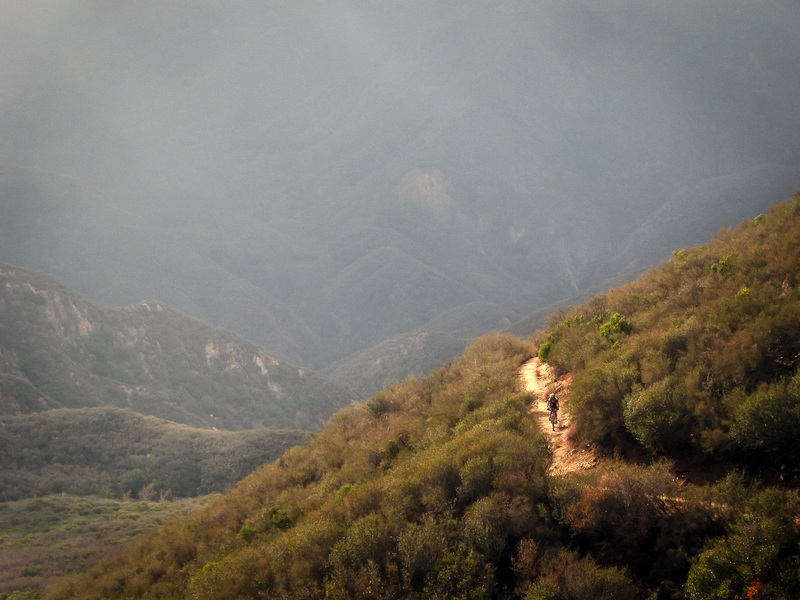 With hundreds of trail miles at stake in the Angeles, Cleveland, Los Padres and San Bernardino forests, bike advocates embarked on a lengthy appeals process to a Forest Service decision to close dozens of trails to bikes. 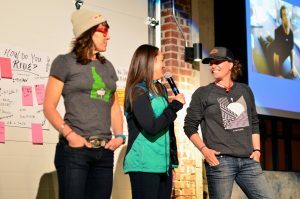 The decision was the culmination of five years of mountain biker participation in the Forest Service planning process. 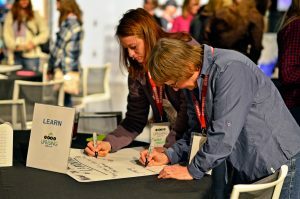 “Even when the documents and alternatives didn’t favor us, the Forest Service staff welcomed our participation and encouraged us to keep working toward a solution,” says IMBA Rep Jim Hasenauer, who began working on the issue in 2001 when the four forests first announced a joint planning process for trail management. According to IMBA California Policy Advisor Tom Ward, strong partnerships with state and federal agencies hold the key to bike access throughout the state. “IMBA’s approach to mountain bike advocacy is to build strong relationships with land managers throughout California. 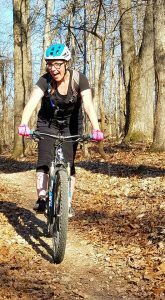 We promote quality riding opportunities and work hard to create fun, environmentally sustainable trails that all users can enjoy,” says Ward. In 2004, after three years of preliminary work, the four Southern California forest units jointly released alternative plans for forest and trail management. 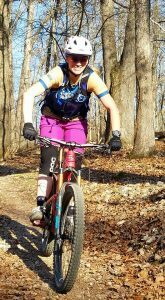 IMBA’s action alert generated hundreds of messages and letters urging that trails be kept open to bikes. “Although there was much that we liked in the original plan, we had concerns about some of the proposed Wilderness areas, the treatment of bicycles in ‘critical biological zones,’ and the ambiguity of language regarding bicycle use only on formally designated ‘system’ trails,” says Hasenauer. In 2005, the forests issued a revised plan that addressed most of IMBA’s initial concerns. New Wilderness additions would have little effect on mountain bike opportunities, bikes would be allowed on trails in the “critical biological zones” unless specifically prohibited, and the Forests promised to deal with the “unofficial” trails issue with public participation, over time. In Oct. of 2006, the San Bernardino National Forest indicated its intention to close all “non-system trails” to bicycles. “We felt that was inconsistent with the 2005 plan,” says Hasenauer. 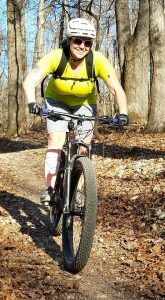 The Forest disagreed, but met with local bicyclists to inventory and keep some of those trails open. 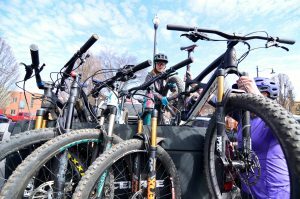 The local mountain biking community stepped up to help the Forest identify important trails for mountain bikes and the Forest agreed to delay the closure. In Nov. 2006, Hasenauer met with the Southern California Forest Supervisors and staff. “We agreed that the three other forests had a more reasonable approach and we’re in fact, a more reasonable interpretation of the new plans,” says Hasenauer. “We agreed that there would need to be a process and a Forest Order before trails were closed. Bicyclists could continue to ride such trails unless specifically prohibited. They also indicated that generally if non-classified trails were to be closed, they should be closed to all users.” That understanding resulted in the December 2006 withdrawal of IMBA’s appeal. 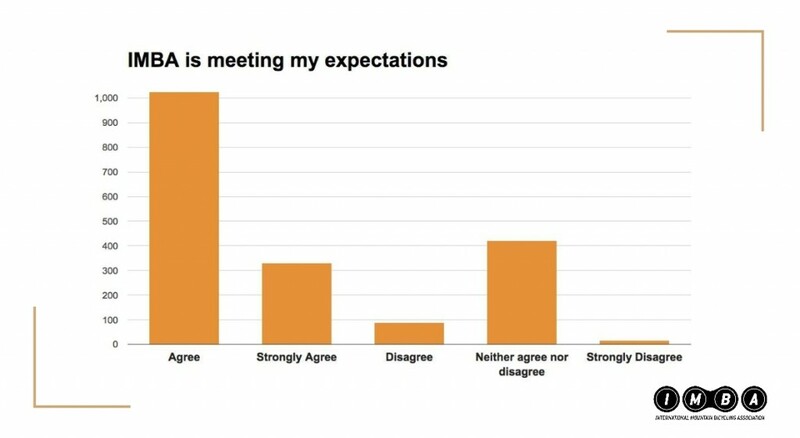 “This is a great example of how steadfast advocacy inside public participation processes can save trails. 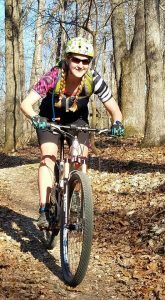 IMBA is quite satisfied with the resolution and we look forward to working with the Forest Service on trail management issues again,” says IMBA Government Affairs Director Jenn Dice. Changes are coming. We just need to figure out what is in the best interest of you as mountain bikers, for our members, for CORBA, and finally for IMBA. Since the abrupt loss of Suburu as a sponsor of several of its core programs last year, IMBA, our parent (and child!) organization, has had to undergo some major cutbacks. The Trail Care Crew and other programs are on indefinite hold. 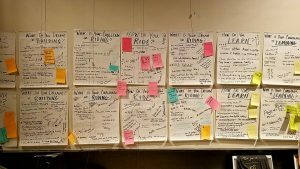 Staff layoffs and the resignation of Executive Director Mike Van Abel set IMBA on a much-needed transformation. 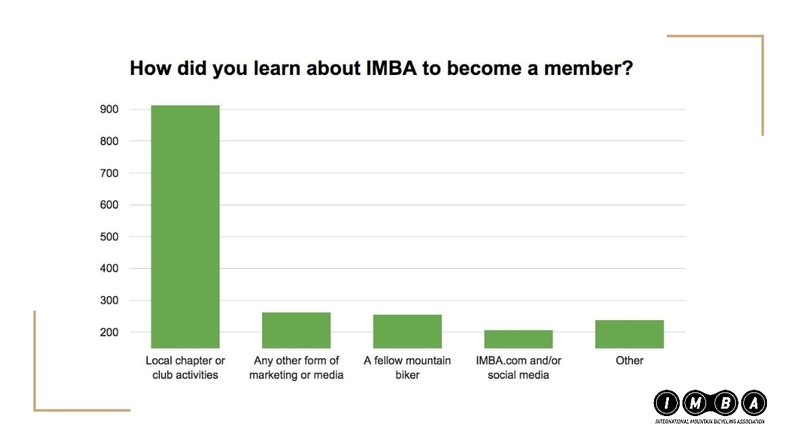 The IMBA Chapter program, which CORBA joined in 2011, was a key factor in IMBA’s recent growth. 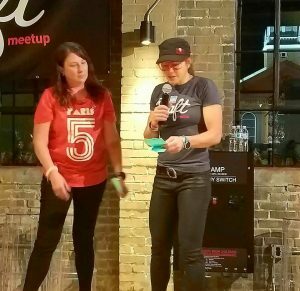 Much of the funding for the Chapter program came from Suburu, including travel expenses incurred by the Regional Director. One of the main functions of the RD was to liaise with and help coordinate all the chapters in a territory. In our case, the region is California and Hawaii. In return, IMBA receives 60% of your membership dues and CORBA receives 40%. The basic membership is $35, with options at $50, $100 and higher that include swag. 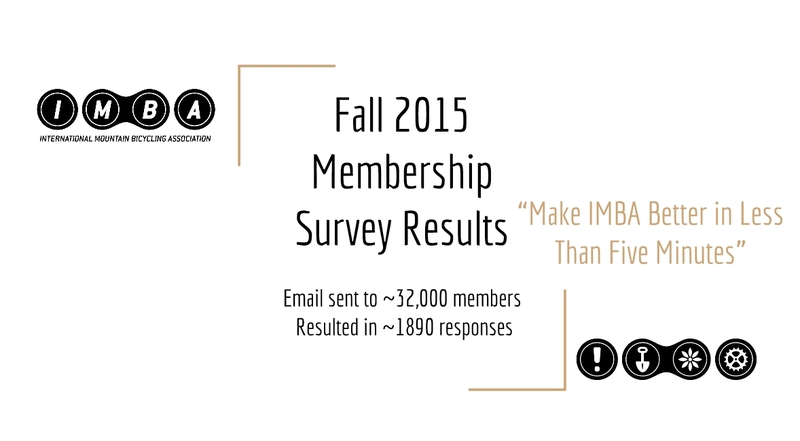 IMBA handles everything regarding membership management. The time and energy we would otherwise spend on membership management we can devote to advocacy and trailwork. IMBA has supported us in Washington DC while we worked locally with members of Congress to prevent trail closures due to wilderness legislation. We’ve had access to IMBA expertise including the Trail Care Crew and Trail Solutions crew. 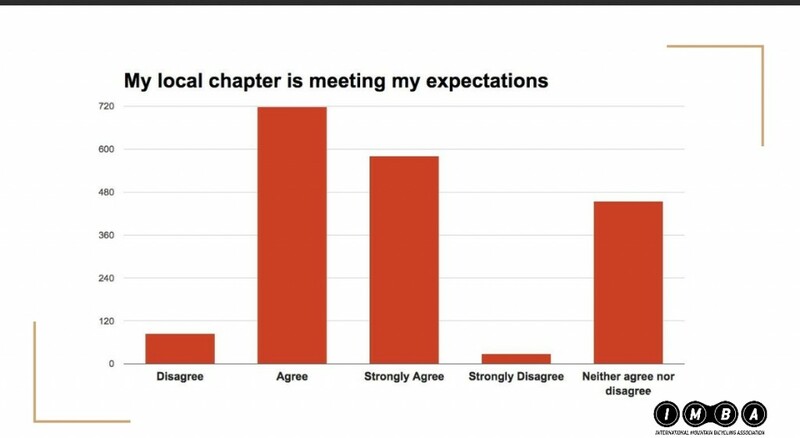 We also increased our membership numbers by about 40% when we became a chapter. 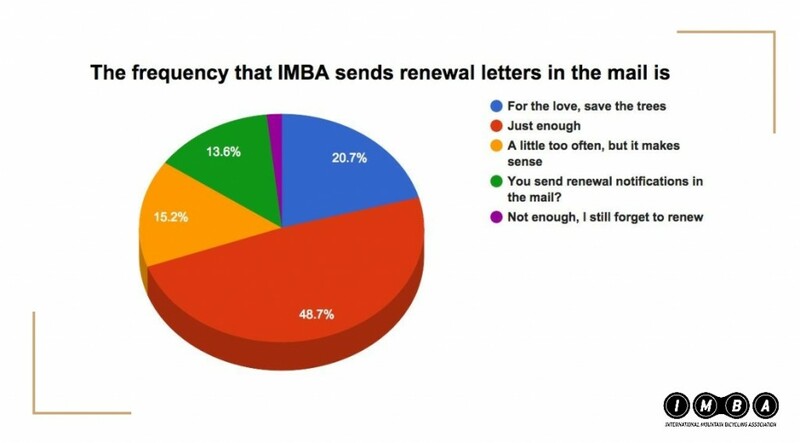 Recent IMBA messaging, however, has not been taken well by a portion of our members. Some have quit their membership and chosen to donate money directly to CORBA (which we welcome, regardless of membership). IMBA recently chose Chairman of the Board Dave Weins as its new Executive Director. He’s widely respected and well-known. He ran a chapter himself. 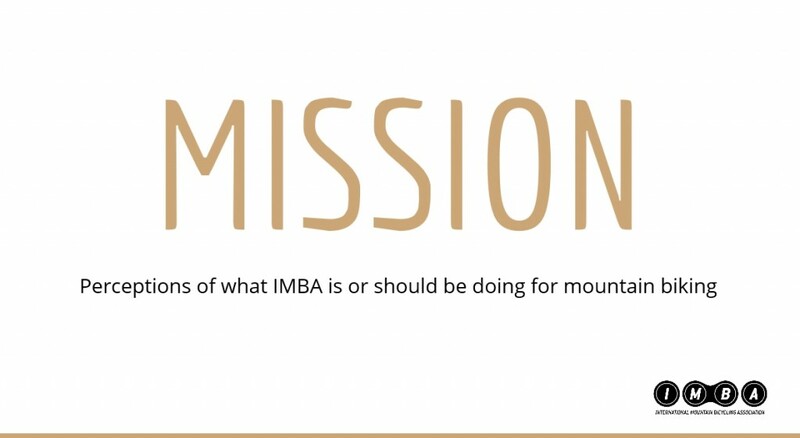 The ED is at the service of the IMBA Board of Directors, so we don’t expect any immediate changes in IMBA policy or messaging. Overall, we’ve had a productive, fruitful and mutually beneficial relationship with IMBA. 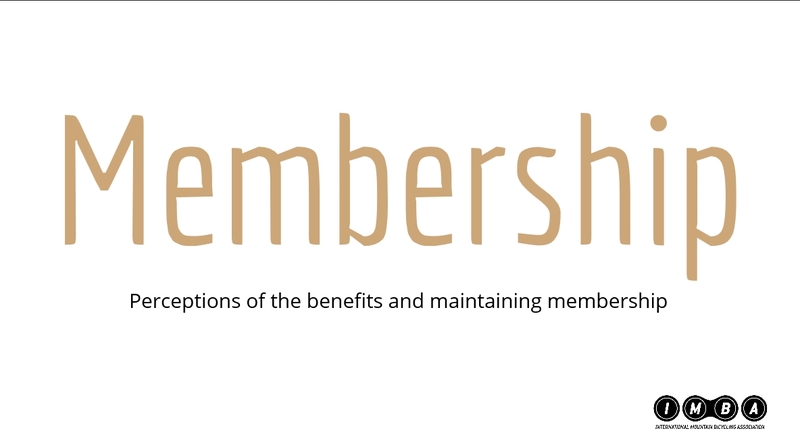 However, it’s been quite expensive at 60% of membership dues and is unsustainable without Suburu’s sponsorship. Proposed changes to the program to make it sustainable are to increase the base membership price to about $50. About 40% of our members are now at the $35 level. Understanding people’s financial constraints, we expect to lose some members if the membership price is raised. In the 1990s IMBA’s mantra was to give 20-20-20. 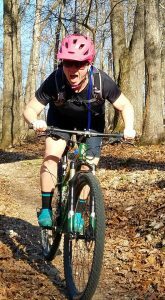 $20 for IMBA, $20 for your local organization, and twenty hours of volunteer trailwork. Considering inflation, that’s not much different to the proposed changes: local and national advocacy group memberships for $50. Hopefully most of you see the immense value in our programs: keeping trails open, restoring trails after disasters, advocating for mountain bikers to land managers and organizations around Southern California. We have bike parks completed and operating, and are working to bring more to the area. 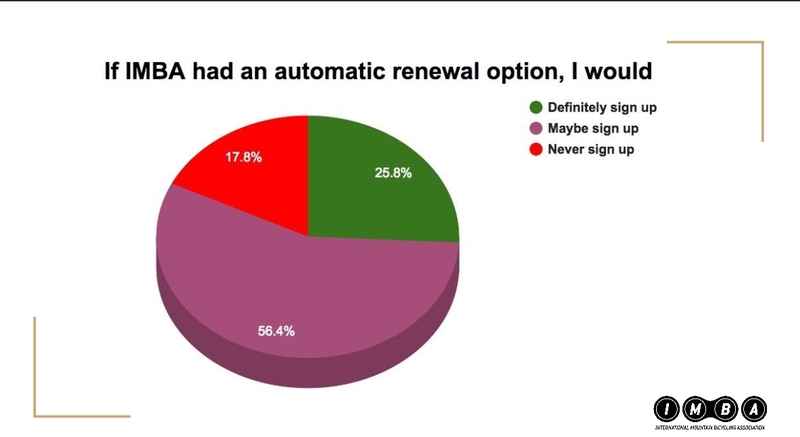 Without CORBA’s 30 years of advocacy, your local riding options might be much more limited. 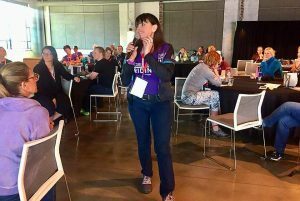 Other proposed changes include the development of a Regional Leadership Council in which all SoCal chapters could meet among ourselves and coordinate efforts. We’d also get a new nationwide insurance plan which is hopefully less expensive than our current policies. We’d have access to experts in various fields by email or voice. It’s a streamlined and more efficient program. The question is whether it’s worth the 60% share of membership dues IMBA takes. 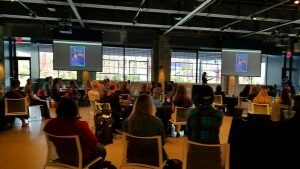 San Diego Mountain Bike Association and others in California are considering whether to stay in IMBA’s chapter program or go it alone. CORBA must make also this decision in the near future. 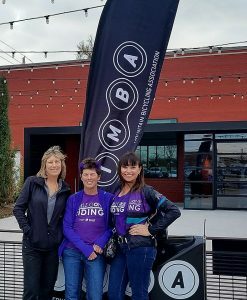 There is much value to CORBA’s relationship with IMBA, but there’s also great value in a California-focused organization as proposed by San Diego Mountain Bike Association. 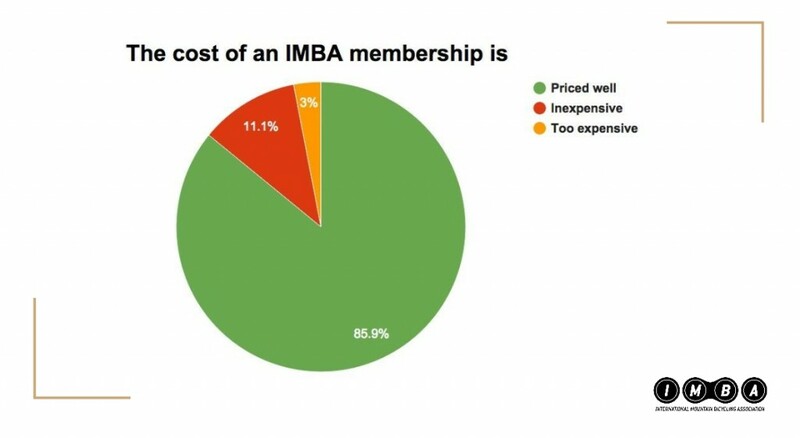 At more than double CORBA’s membership, SDMBA could easily thrive as an IMBA Associate Club, rather than a chapter. The departure of any chapter would reduce the number of IMBA members nationwide. A departing chapter might lose some members too. 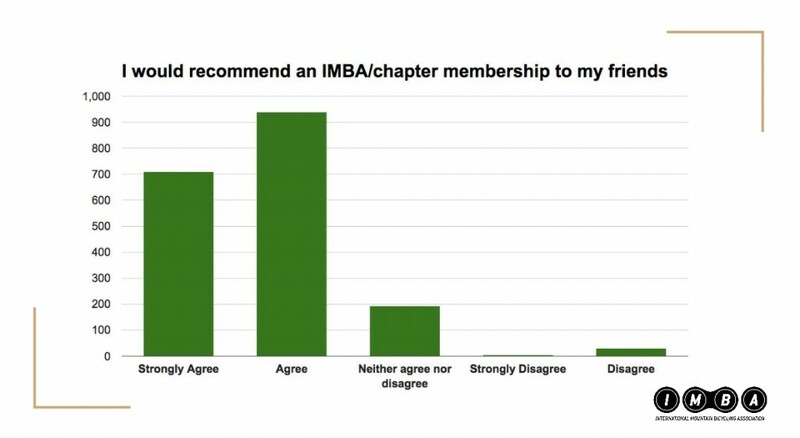 Some members may subsequently choose to join both the local organization and IMBA at the national level, as things were before the chapter program. It’s doubtful all current members would join both under those circumstances. 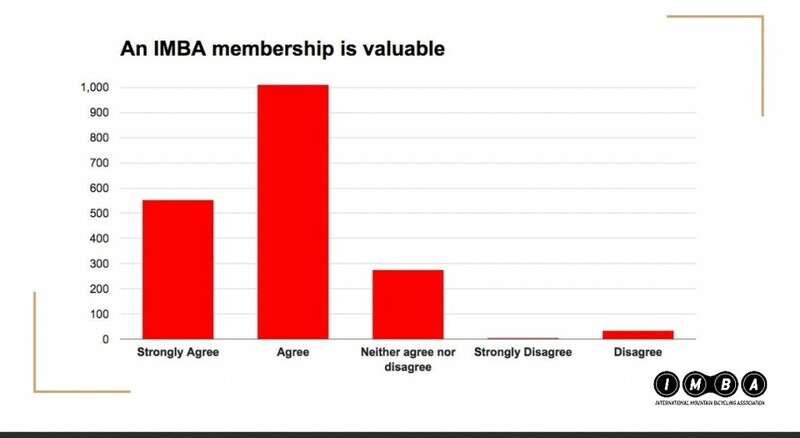 However, significantly weakening IMBA will ultimately hurt us all. IMBA remains dedicated to improving mountain biking for everyone. STC, which most of our members also support, has a much more narrowly focused mission that affects California more than most other states. 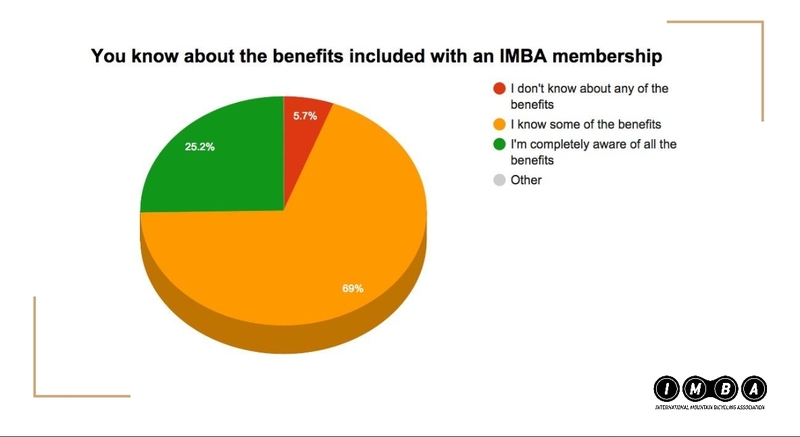 IMBA’s efforts are having a positive impact nationally and local, but the local impacts are more difficult to quantify. 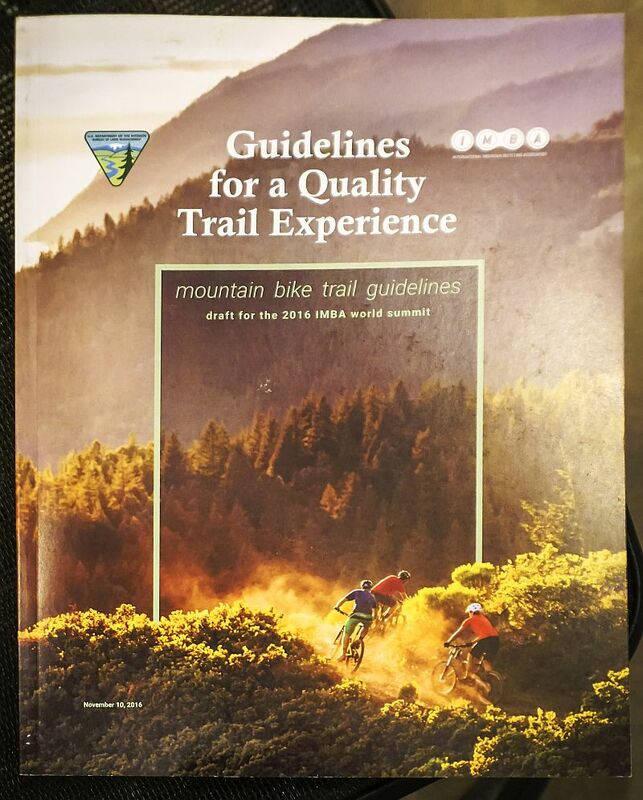 The soon-to-be-released “Guidelines for a Quality Trail Experience” developed in partnership with the BLM, is a great example. Aimed squarely at Land Managers, this extensive new reference will be key to helping land managers understand our needs and desires. It will help guide the development of more bike-specific trails to meet a growing need. We can’t wait to supply a copy to our local Land Managers as we advocate for quality trail experiences locally. Resources like this help us all. Most of you already join at the $50 level and higher (and we appreciate your support!). How many who now pay $35 can’t or won’t want to join us for $50? How many of you feel strongly either way about our association with IMBA? Would you join both organizations separately if we parted ways, or just one or the other? We may send out a survey in the near future asking these and other questions, but feel free to email or comment to share your views. In the meantime, it’s business as usual for CORBA. We’re busy with trailwork, advocacy, bike parks, fundraising, education and mountain bike advocacy. We’re improving relationships with Land Managers and looking for new opportunities. We’re in it for the long run and need your continued support. 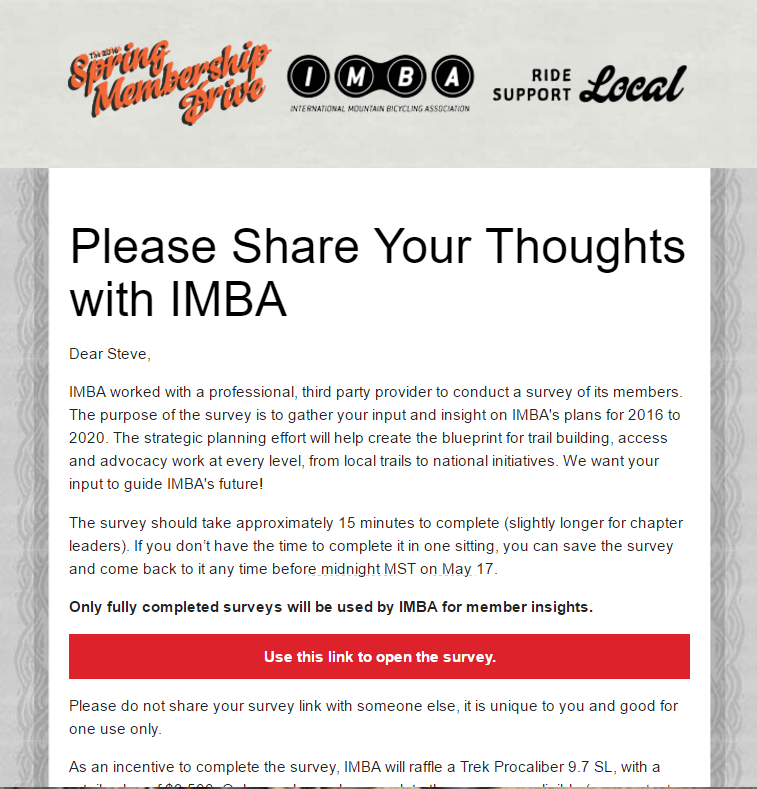 IMBA is conducting a nationwide member survey. 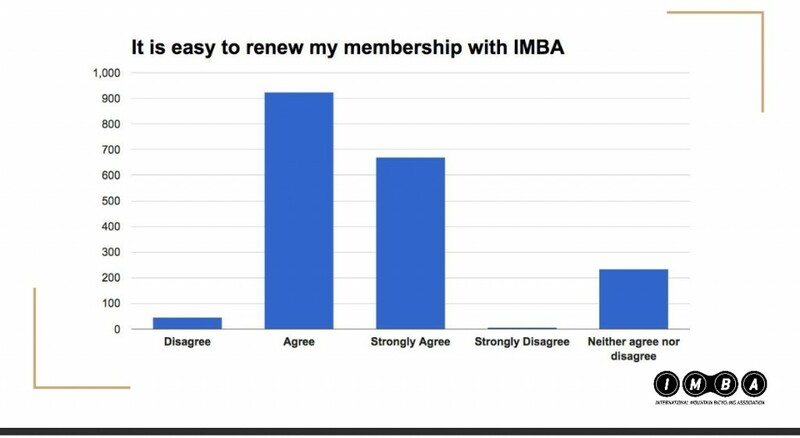 If your membership was current on April 30th, you should have received an email invitation to complete the IMBA Member Survey during the first week of April. 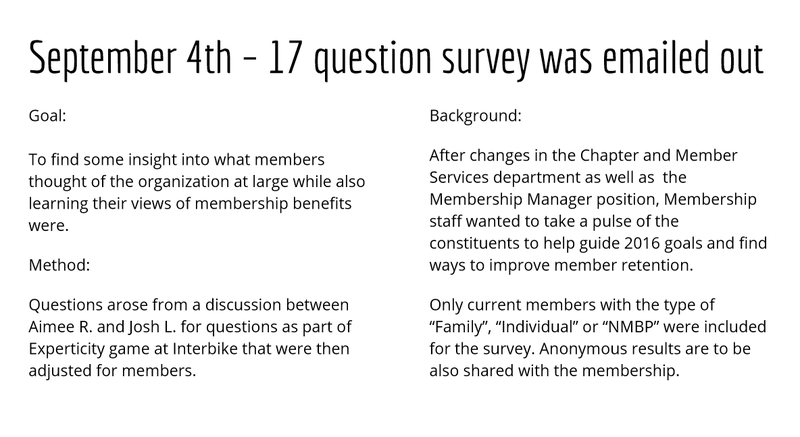 Invitations are unique to each member, and the survey can only be taken once. 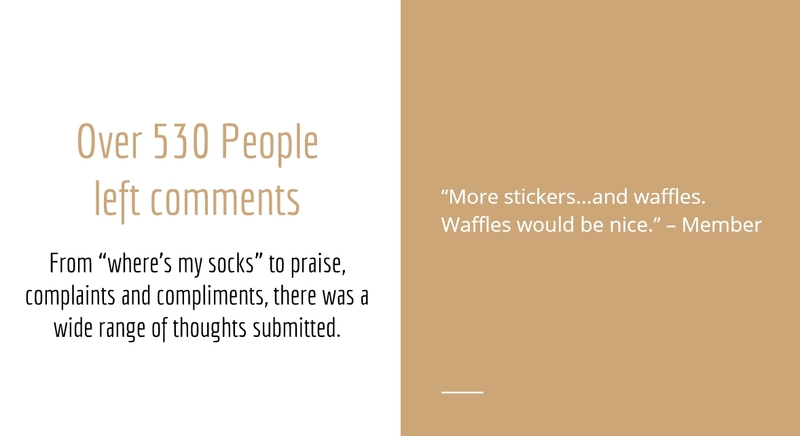 You have the opportunity to save your survey and come back to it. Surveys must be completed by May 17. 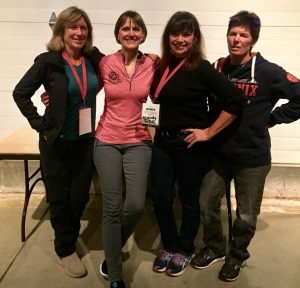 Since IMBA reorganized to unite all of California into the same region, we have had the good fortune of working with Laurel Harkness as IMBA’s California/Hawaii Regional Director. However, we face a unique challenge here in Los Angeles. We have the largest population base of any IMBA Chapter, yet one of the smallest Board of Directors, and an disproportionately small membership base. We have a City of Los Angeles blanket ban on bicycles on trails, new and existing Wilderness proposals, and other issues threatening or preventing our access to new trails. 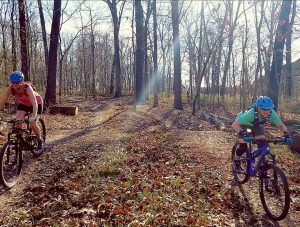 We have several opportunities for new trails and bike parks, but are stretched thin on maintaining what we have. 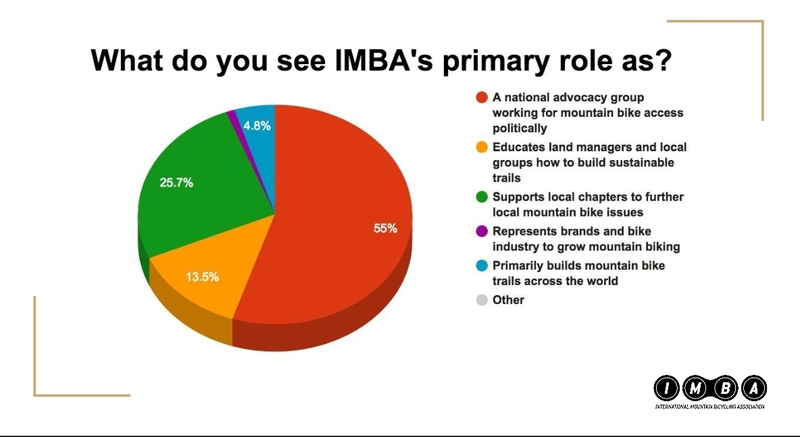 By participating in IMBA’s Survey, you can help inform IMBA of our local needs. 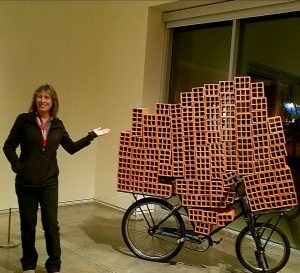 Los Angeles is one of the largest and most complex mountain bike advocacy mosaics in the country, and we can use all the help we can get, from our members and supporters, from the local bike industry, and from IMBA. 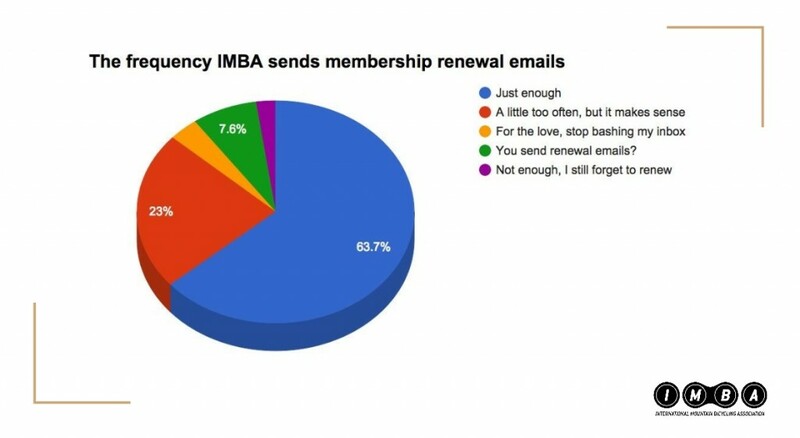 Meanwhile IMBA’s Spring Membership Drive continues into May, with all those renewing their memberships being eligible for some great prizes. 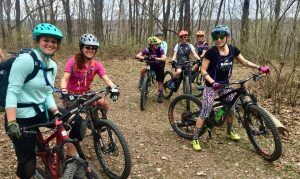 It’s a great time to renew your membership to CORBA/IMBA and help us grow mountain biking opportunities in the area. 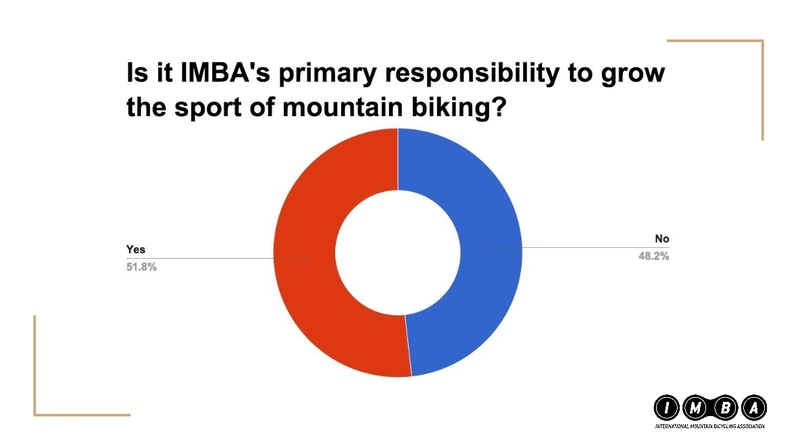 Here are the results of the International Mountain Biking Association’s (IMBA) fall survey. 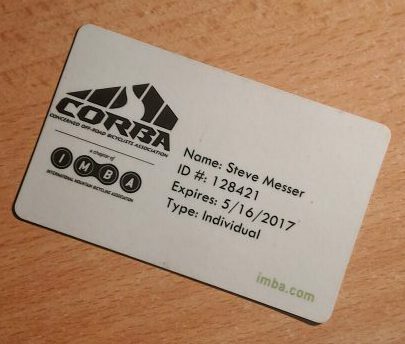 Remember that CORBA is a founding organization of IMBA, and now there are dozens of local chapters that work with the international association. You may need to click on the images to enlarge them to make the text easier to read.